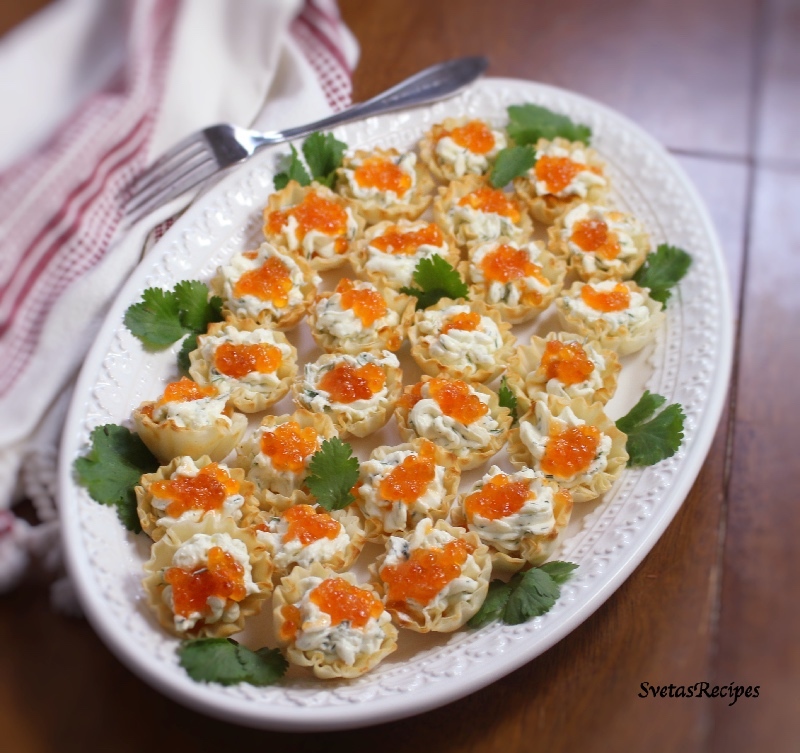 Tart Shell Caviars are very tasty and healthy though they include cream cheese, dills and butter. 1.) Chop up your dills. 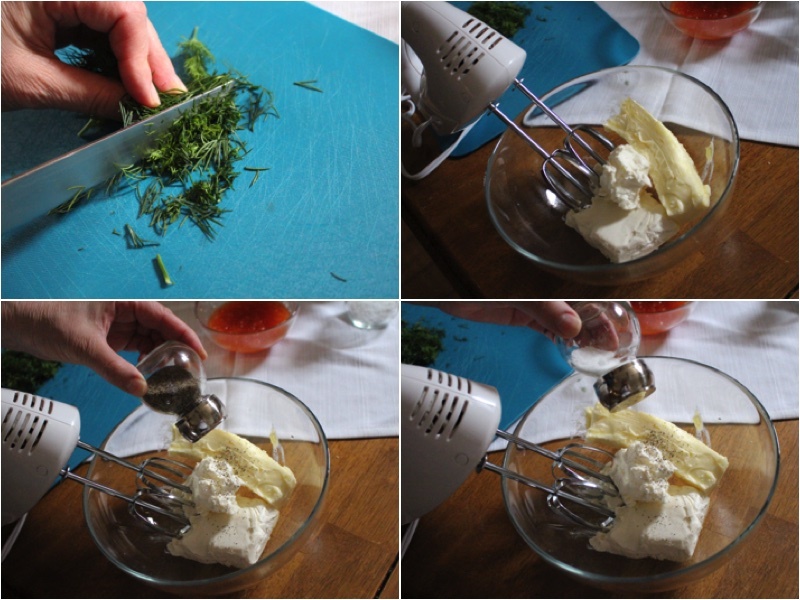 In a small bowl mix together your butter salt, cream cheese and pepper on a medium speed. 2.) Add your dills to the cheese mixture and mix again. 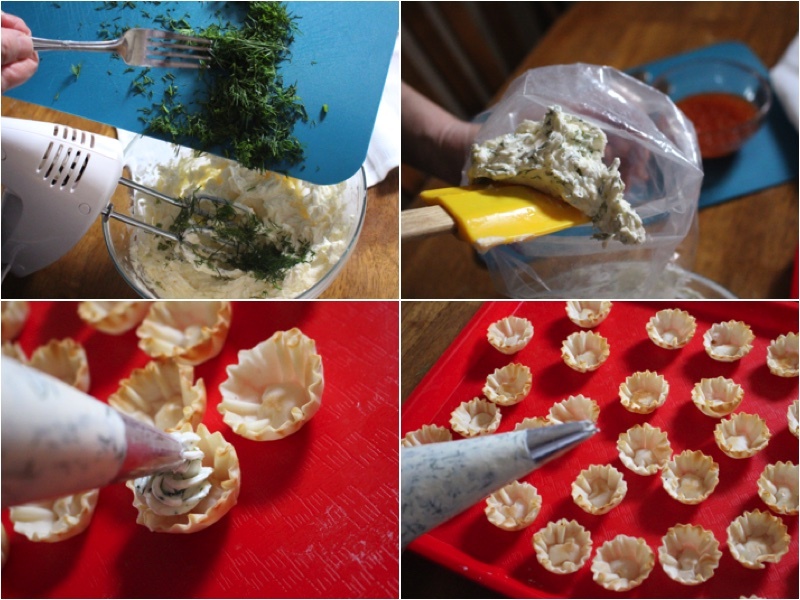 Place your cheese mixture into a decorating bag, Pipe out small flowers in each tart shell. 3.) 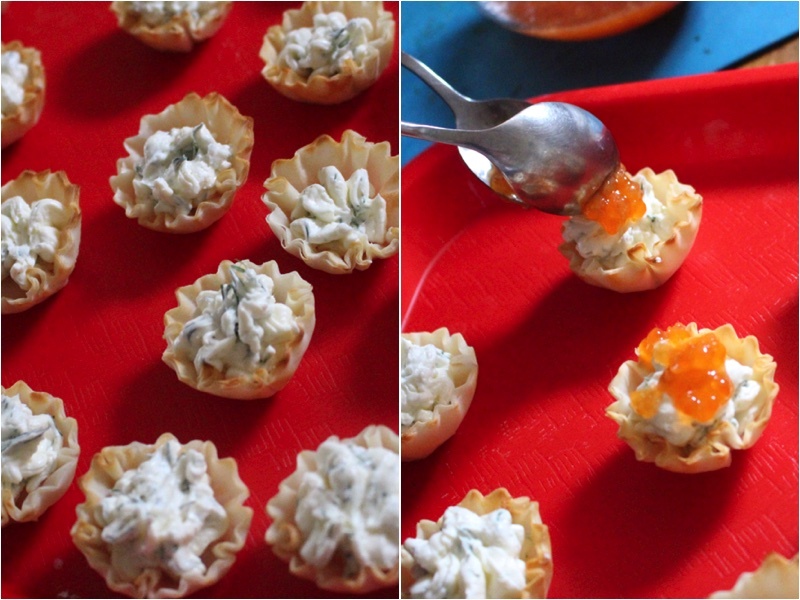 Using 2 teaspoons add a tsp of caviar to each tart shell. Place on a serving dish and enjoy! Chop up your dills. In a small bowl mix together your butter salt, cream cheese and pepper on a medium speed. Add your dills to the cheese mixture and mix again. 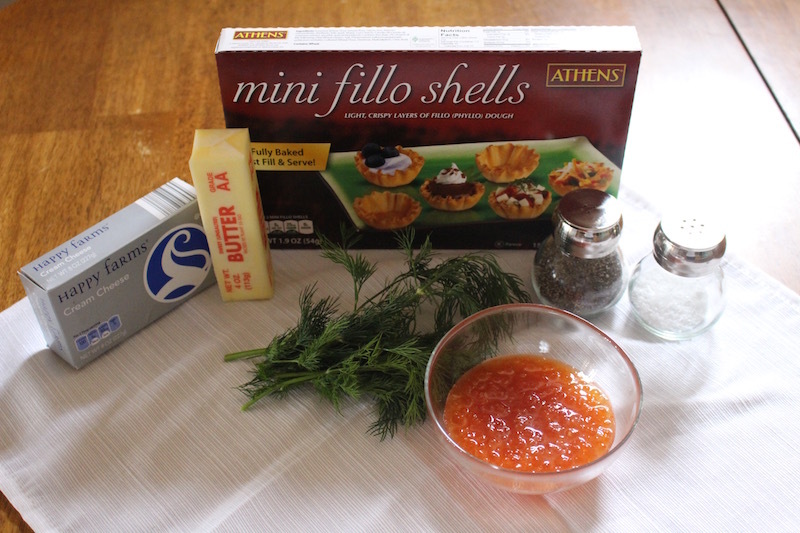 Place your cheese mixture into a decorating bag, Pipe out small flowers in each tart shell. Using 2 teaspoons add a tsp of caviar to each tart shell. Place on a serving dish and enjoy!